We offer a variety of nail and waxing services. Call 757-431-0086 to make an appointment. Gift Certificates are available for purchase. All manicures and pedicures consist of clip, shape, exfoliate, push back cuticle, lotion, parafin and polish. Minis only consist of clip, shape, lotion and polish. 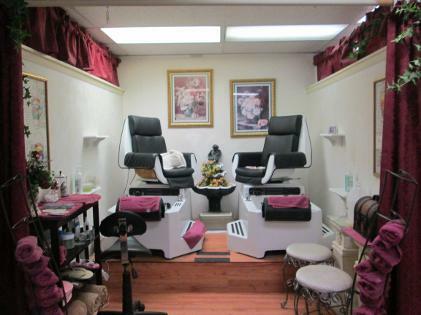 Relax in one of our comfortable spa pedicure seats.